In a blog post on Monday, Epic Games announced that its free-to-play version of Fortnite: Save the World will be delayed until sometime in 2019. Save the World, the forgotten precursor to Fortnite: Battle Royale, is a PvE game that pits a team of players against monsters and environmental disasters. Since its launch in 2017, the game mode sat at a $39 price point. Epic is hoping to bring the same accessibility that’s made Battle Royale such a success to Save the World by churning out a free version. 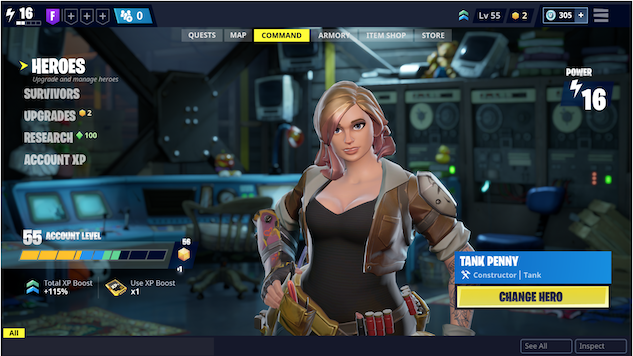 Before that happens, though, Epic is planning on a pretty major overhaul, including “a broad set of features, reworks and backend system scaling,” in an effort to improve accessibility and discoverability for current and new players alike. The hero system is being updated, as well. When the free version launches, three extra hero slots, as well as extra load-out options, will be available. Players will choose one main hero to take control of, while the other five affect perks and traits. Epic is planning to put out an entire blog post on all the changes here and how to make use of them. The delay is a direct result of perfecting each of these aspects. To make up for the late release, Epic is offering a 50-percent discount on each version of Save the World, including its Standard, Deluxe, Super Deluxe and Limited Founder’s packs. So anyone who doesn’t have the patience to wait for the free version is in luck. Anyone who logs on and plays during the Fortnitemares Event can also snag the exclusive Brainiac Jonesy and Skull Ranger Ramirez for free.